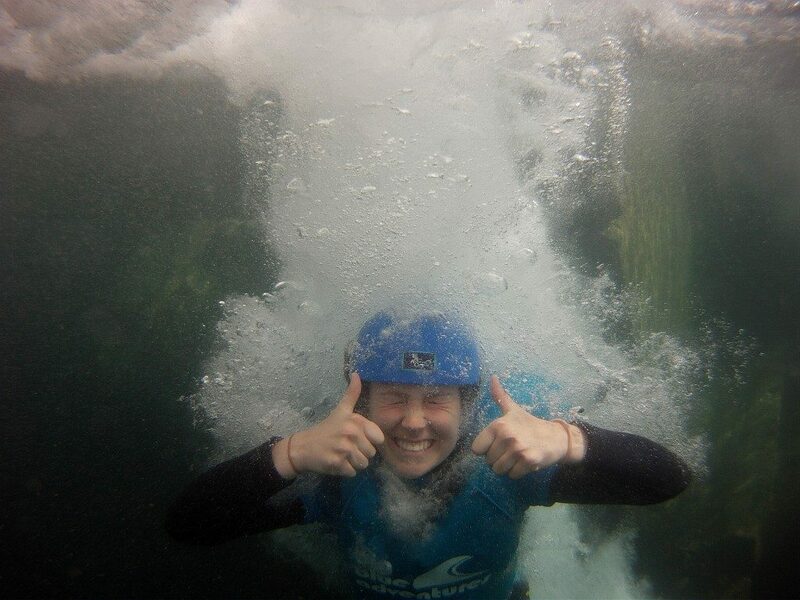 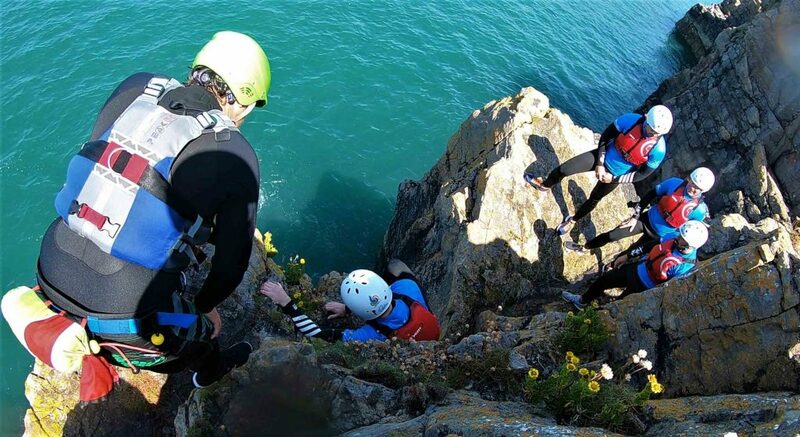 Coasteering is one of those fun, adrenaline pumping outdoor activities that you must try at least once in your life! 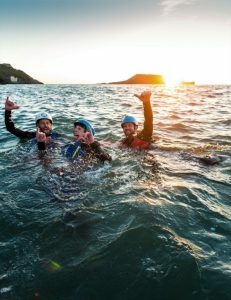 It’s a watersport that pushes your boundaries, but can also easily be adapted to the confidence levels within the group. 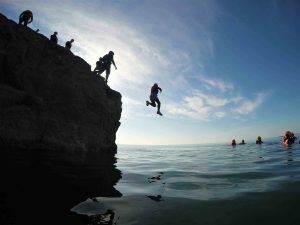 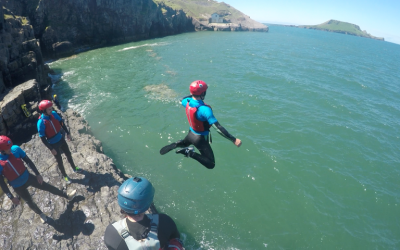 Scramble your way across the famous Welsh coastline, discover cave systems, jump off cliffs and swim with the swells, that is coasteering in a nut-shell; basically just having a blast exploring the shoreline of Wales. 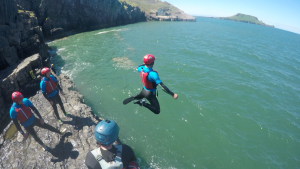  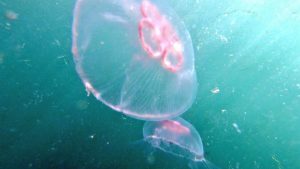  We specialise in coasteering in the Gower Peninsula, Pembrokeshire and Anglesey near to Snowdonia – all spots being perfect natural playgrounds for this adventure. 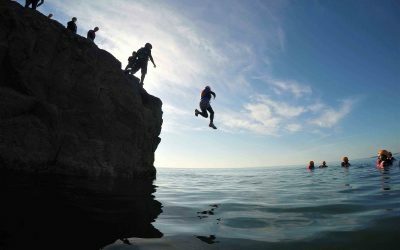 With jumps up to 10m high, seals regularly visiting the area and breathtaking coastline, this is one of the coolest watersports around. 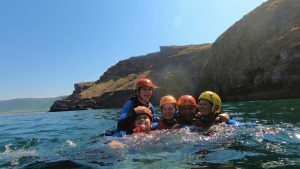 Coasteering day trips available or just book the activity only. 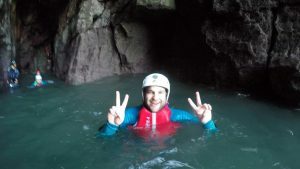 Coasteering adventure in the place where the activity was born; Wales! Coasteering is one of those fun, adrenaline pumping outdoor activities that you must try at least once in your life! 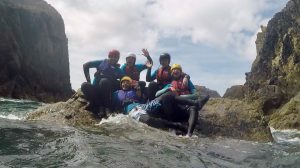 It is a watersport that pushes your boundaries, but can also easily be adapted to the confidence levels within the group. Scramble your way across the famous Welsh coastline, discover cave systems, jump off cliffs and swim with the swells, that is coasteering in a nut-shell; basically just having a blast exploring the shoreline of Wales. Gower location start times are dependant on high tide (starting 2 hours before high tide). 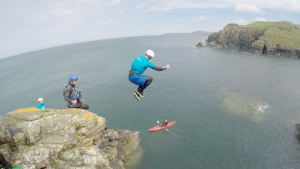 Fancy something even more extreme? Extreme Coasteering with rib boat support pushing you to the adventure limits and exploring in a totally unique way is available in Anglesey. Price on request – 6 people minimum, please contact us for details!  Additional local exploring and the scenic route home available – ask us about extra add-ons! "Is there anything more thrilling and fun than jumping from high rocks into the big blue? 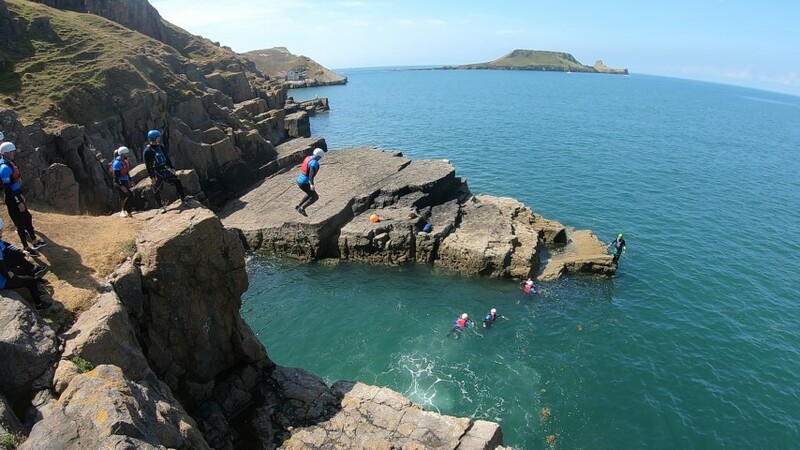 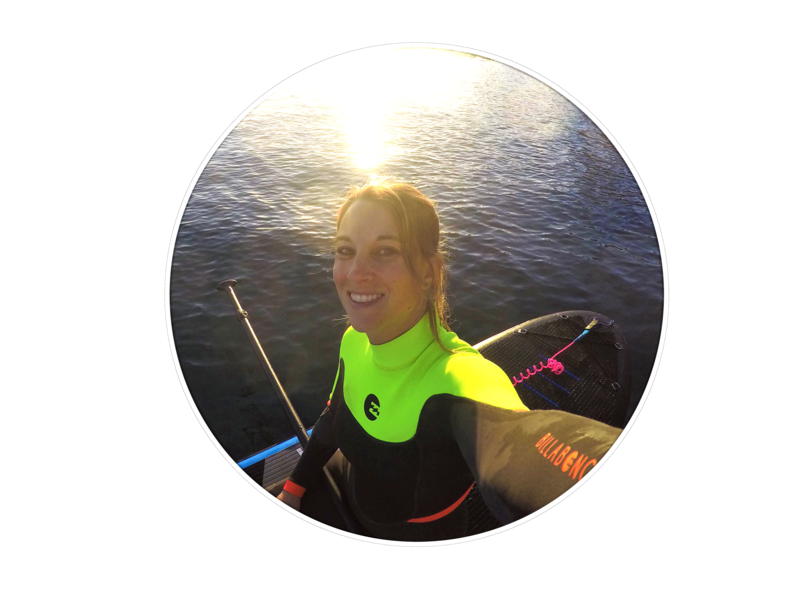 I love a good adrenaline kick, and coasteering definitely gets your heart pumping. 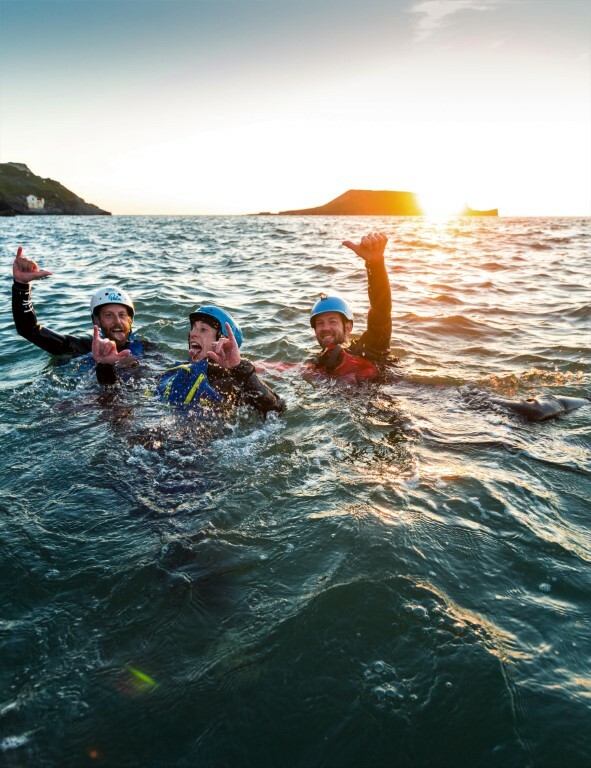 To feel alive and to truly enjoy life's great adventures, is just awesome and something you will remember. 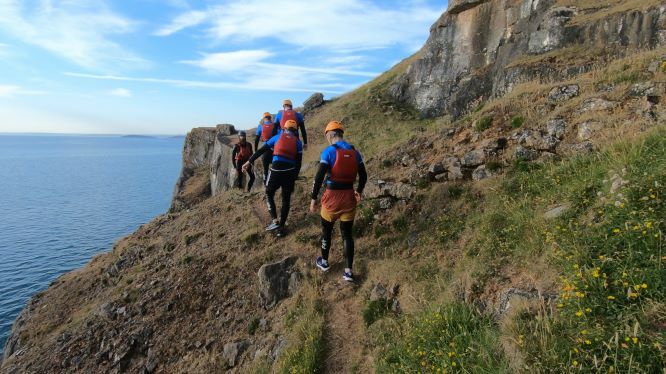 Wales is spectacular for it's wild coastline and probably one of the best places in the world to try out this outdoor activity!"